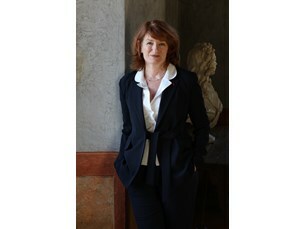 The first woman director of the Comédie Française, Muriel Mayette-Holtz went on to become the first woman director of the French Academy in Rome – Villa Medici in September 2015. After training at the French National Academy of Dramatic Arts (CNSAD), she joined the Comédie Française in 1985, at the age of twenty, and was made 477th sociétaire (full member) in 1988. She played numerous roles, notably under directors Antoine Vitez (Rojas’ The Tragicomedy of Calisto and Melibea, 1989), Claude Régy (Sartre’s No Exit, 1990), Jacques Lassalle (Marivaux’s La Fausse Suivante, 1991; Molière’s The Confounded Husband, 1992; Chekhov’s Platonov, 2003), Matthias Langhoff (Strindberg’s Dance of Death, 1996; Büchner’s Leonce and Lena, 2002), Alain Françon (Chekhov’s The Cherry Orchard, 1998), Philippe Adrien (Genet’s The Maids, 1997), Catherine Hiegel (Molière’s The Learned Ladies and Pinter’s The Homecoming, both 2000) and Claude Stratz (Molière’s The Imaginary Invalid, 2001; Pirandello’s Cap and Bells, 2005). In 2007–2008 she acted in and toured with the Comédie Française production of Molière’s The Imaginary Invalid, directed by Claude Stratz, and Robert Wilson’s Fables of La Fontaine. She also directed Oh, mais où est la tête de Victor Hugo? at the Théâtre National de l’Odéon (1990); Crommelynck’s The Childish Lovers (1993), Feydeau’s Cat among the Pigeons (1998), Karin Mainwaring’s The Rain Dancers (2001) and Marivaux’s The Dispute (2009) at the Théâtre du Vieux-Colombier; Shakespeare’s A Winter’s Tale (2004) and Thomas Bernhard’s Dramuscules (2005) at the Studio-Théâtre. For the Salle Richelieu she directed Corneille’s Clitandre (1996), Bernard Marie-Koltès’s Return to the Desert (2007), Homage to Molière (2008), Dario Fo’s Comical Mystery and Racine’s Andromaque (both 2010), A History of the Comédie-Française (2012) and A Midsummer Night’s Dream (2014). Her production of Racine’s Berenice toured during the 2010–2011 season. Her non-Comédie Française roles also include Molière’s The Misanthrope, directed by André Engel; Gogol’s The Government Inspector, Heiner Müller’s Quartet and Garcia Lorca’s Dona Rosita, all directed by Matthias Langhoff; and La Leçon de M. Pantalone, with Mario Gonzalez, directed by Christophe Patty (on tour in 2006). She was appointed director of the Comédie Française in 2006. Since taking up her post at the Villa Medici she has left her mark in the form of numerous cultural events. In September 2016 she launched ¡VivaVilla!, a festival of artists’ residencies in association with the Casa de Velázquez in Madrid and the Villa Kujoyama in Kyoto. The festival gives the French public the opportunity to discover, in Paris, the recent work of guest artists at these three major institutions. Muriel Mayette-Holtz has also introduced Thursdays at the Villa: Art Matters, a series of free weekly encounters between the public and artists representing the whole range of today’s disciplines. These bilingual French/Italian events been a real success on the Roman cultural scene. A further feature is regular exhibitions of the work of major women contemporary artists. She has also created the “Benefactors’ Circle”, which brings together private individuals and businesses interested in contributing to the Academy’s cultural activities, the upkeep and promotion of its heritage, and support for artist and researcher residencies. Muriel Mayette-Holtz has been awarded the ranks of Officier de l’Ordre des Arts et des Lettres, Chevalier du Mérite, and Chevalier de l’Ordre National de la Légion d’Honneur.